This German Potato salad recipe is so easy to make and just screams summer for me. With celery seed, dill, and garlic, you can expect a lot of tang and bite inside this side dish. A party favorite for sure. 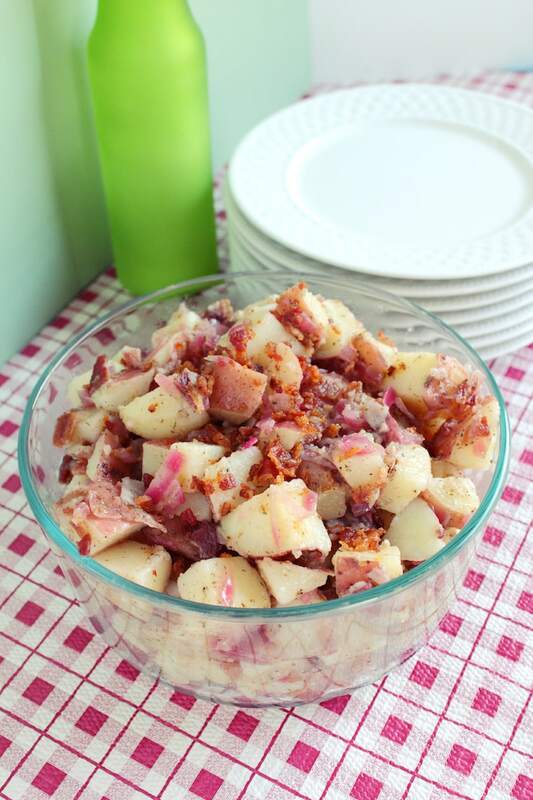 German Potato salad is my absolute favorite BBQ side dish and I always look forward to the summer months because I know that all my friends will have this side dish waiting for me whenever I visit. I will take any excuse to chow down on this recipe multiple times a week. Do you want to know how to make it on your own? No problem!! 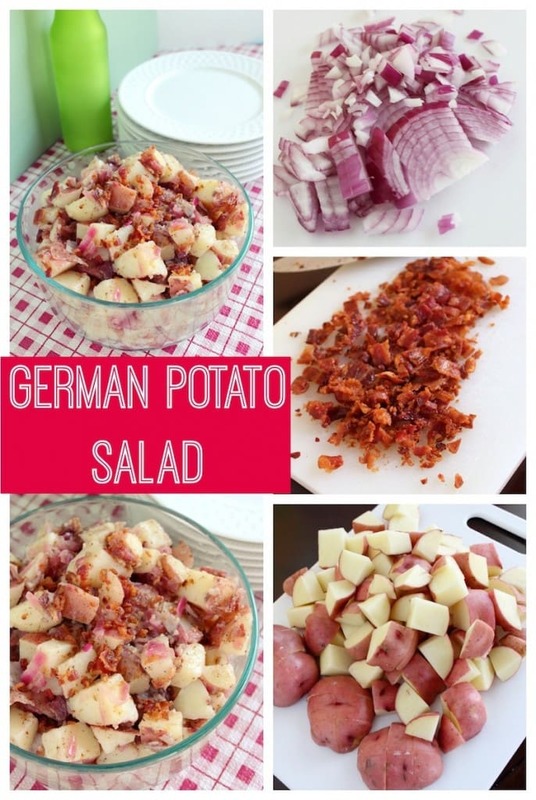 Here’s a great recipe for German Potato Salad that everyone will love. Cook Bacon until crispy and chop into ¼ inch pieces. Reserve 2 Tbsp. of rendered fat. In a large pot place potatoes and just enough water to cover. Bring to boil, reduce to simmer until just tender. 8-10 minutes. Drain. In the pot you used to cook the potatoes, add 2 Tbsp. of bacon fat over medium heat add onion and cook until just softened. Add the Garlic, Dill, Celery Seed, Salt and Pepper cook 1 minute then turn off heat. Add the Vinegar, Oil and Sugar. Stir to combine. Add the Potatoes and ¾ of the Bacon pieces back to the pot toss to coat. Transfer to serving bowl and top with remaining Bacon pieces. How Do You Say German Potato Salad In German? Ok, I had to look this one up. I was curious too. I am not German and I leaned hard on Google for this, but the answer is Schwäbischer Kartoffelsalat. Woot! What Kind Of Potatoes Should I Use For German Potato Salad? I usually eat it with red potatoes, but you could also use white and Yukon Golds if you’d like. Can This Be Served Hot, Cold, Or Warm? Here’s the kicker. You can serve this dish any way that you want. Traditionally, I guess most serve it warm and that’s how we added the instructions to read. HOWEVER, I personally like it COLD. To see what Audrey cooked up for this week’s ‘Getting Gorgeous in the Kitchen’, click here.